A cousin marriage may seem odd to most people, but in California first cousins can marry legally. In some states that don’t allow cousin marriages, if you marry in California it is recognized as legal in the other state. Please check your state’s marriage laws before engaging our services. We cannot verify the legitimacy of your state’s cousin marriage laws, but we will officiate your wedding and issue you a CA confidential marriage license, and your marriage will be valid here. The Officiant Guy has officiated many cousin weddings were the bride and groom were first cousins and were in love. Often, it is a private and confidential wedding ceremony that the couple does not want to disclose. Many cousins who want to get married have flown in just for the wedding ceremony, and Chris can meet you at the airport with a confidential wedding license in hand. 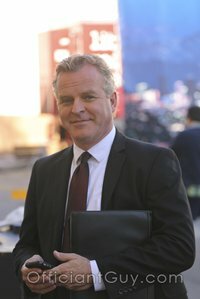 The unique thing about getting married in California is that it is the only state that allows confidential marriage licenses to be filed which means that all of your personal information will be sealed from public view and can only be accessed by court order or by your notarized signatures. Chris is specially authorized by the Los Angeles County Clerk’s office to issue a California confidential marriage license anywhere in Southern California. 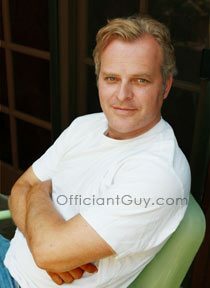 Contact Officiant Guy if you are indeed cousins and would like to get married in Los Angeles county, California. Chris would be happy to officiate your wedding ceremony. He is the best wedding officiant in Southern California. If you are getting married anywhere in LA or OC Counties give the top wedding officiant in Southern California a ring at (310) 882-5039 or (562) 547-3255 or fill out the contact form. Officiant Guy is an LA wedding minister for ceremonies. He has been officiating weddings and providing Los Angeles County confidential wedding licenses for over several decades.